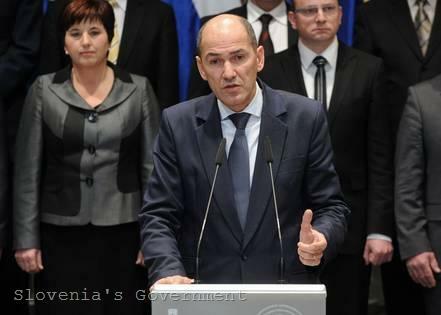 The political crisis is over, but the country is still experiencing a social and economic one, were the first words of the old new Slovenian PM Janez Jansa after on Friday (February 10) the parliament approved the 10th government of the country. Two months after the snap elections in Slovenia, Jansa has become a premier for a second time, heading a cabinet of 12 ministers, the slimmest in the country’s independent history. “The exit from the crisis is the government’s main task. We are an anti-crisis cabinet, an anti-crisis team,” he said, adding that among the ministers’ first task will be to revise the country’s 2012 budget. 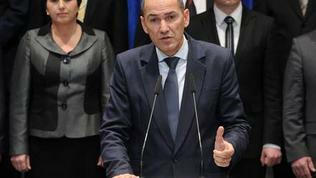 Upon the presentation of the cabinet’s programme Jansa explained that this year Slovenia had to cut public spending by 10% or the country’s public debt would exceed 60% and it was not able to accumulate more debts. He also called for fiscal consolidation, new jobs creation and attraction of new foreign investments, thanks to which the country could exit the crisis within two to three years. In his words, what Slovenia needed in order to avoid the fate of other Eurozone countries, was economic growth, which, according to him could come only once unemployment was reduced. “Each employee is a generator for growth,” Jansa summed up. Among the measures, which the new cabinet plans to take, the premier pointed out reducing payment deadlines, cutting down administrative burden and red tape, reducing the time for settling commercial arguments, cutting labour costs for employers as well as introducing some advantages for investors. Another priority of the new government will be to improve the work of the country’s banking system too. Just before the new government was approved, the new finance minister Janez Sustersic said that the state might have to pour some 400 million euro in the country’s top bank – Nova Ljubljanska Banka. The state-owned bank was among the financial institutions that generously gave loans to local companies, but once the crisis hit the small country a lot of those firms bankrupted, leaving many of the banks without enough cash even to meet the EU capital adequacy requirements. Another aim of the new cabinet will be to work for improving the country’s credit rating, which has been downgraded by the major credit rating agencies in the recent months.The new foreign minister Karel Erjavec said the country’s priorities in the foreign affairs aspect would be to be more active within EU and NATO, as well as in the process of Western Balkans’ countries accession to the EU.